Tech has revolutionized industry. What about schools? His question resonates with many educators who have been inundated with new devices, apps, extensions and programs over the last decade. Although exciting and potentially transformational, the relationship between edtech and improved learning isn’t simple. Even if every classroom is connected to high-speed internet and every student carries the power of computing in their back pocket, the structure of school often does not reflect the interconnected, interdisciplinary world beyond its walls. What if we reimagine technology as a bridge to rebuild school-to-career pathways? Too many graduating students enter the workforce unprepared, and too many companies depend on importing technical skills from other countries. Kanski and his team, working alongside the Wheelhouse organization, have pioneered a “school to table” model where skills aren’t learned in a vacuum but instead are applied to indoor agriculture installations. 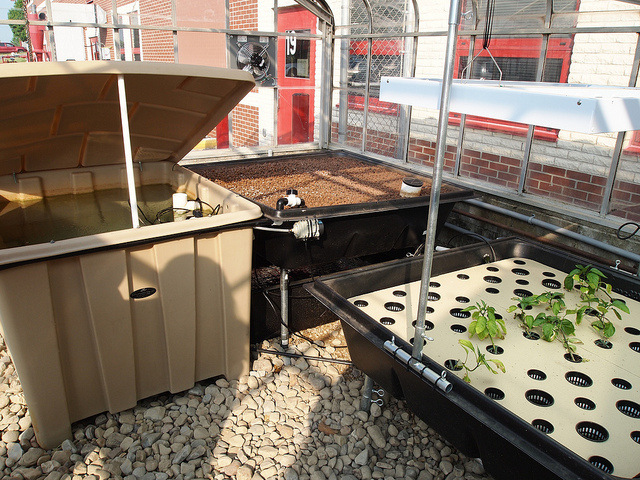 In this program, aquaponic systems for raising fish and plants are managed and nurtured by teams of students who also market their products to local buyers. All proceeds return to the school.